This presentation addresses, what is extreme rope access on super high-rise buildings, above 200 meters, what is the difference of working conventional and industrial rope access, how the technician must be prepared for extreme and harsh working conditions at elevations above 500 meters, learns his skill from unrelated sports and how training is conducted. This presentation will cover the experience of the very first suspended access at heights above 500 meters and possible worst case scenarios, their prevention and the fundamentals of specialized and essential equipment. M.A.R.S. is a pioneering project for the aerospace safety and high-rise industry. The project is initiated by Ivan Kristoff after the completion of the very first rope access work on the Antenna Mast of CN Tower (553m. ), the world’s tallest structure in 2003. For this job Ivan had to create innovative high rise Emergency Rescue Plan and rewrite the rules for conventional air rescue from super high rise buildings. In 2014, Ivan Kristoff, a Nikon fan and member of NPS (Nikon Professional Services), showcased his NIKON equipment during one of the biggest helicopter shows in the world. Dubai HeliShow is under the patronage of H.H. Sheikh Mohammed bin Rashid Al Maktoum. At this high profile event, the Canadian photographer Ivan Kristoff has had a booth, photo exhibition and a presentations in which, he can showcase the most advanced digital cameras and imaging systems in remote photography on the tallest tower in the world. Mr. Kristoff’s exhibitions have showcased some of the most prestigious Canadian high altitude rope access projects and helicopter rescue initiatives, which I completed in Canada. You will see a unique presentation of the first person who stepped on the unreachable places of the tallest tower in the world in that period. Some of the images in his show booth will depict some of the most challenging rope access projects in high-rise environment, captured by NIkon DX1. One of them is the first exterior repair at 1725″ during winter extreme conditions and winds above 60km/h. During the event, Ivan showed documentaries on unique aerial and technical demonstrations, which have been captured with NIKON. Visit Ivan Kristoff’s booth and see the his presentation during the M.A.R.S. Wireless Video Conference. In 2018, the biggest helicopter show in MENA will be held at the Royal Pavilion, Al Maktoum Airport, Dubai South, Dubai, UAE. 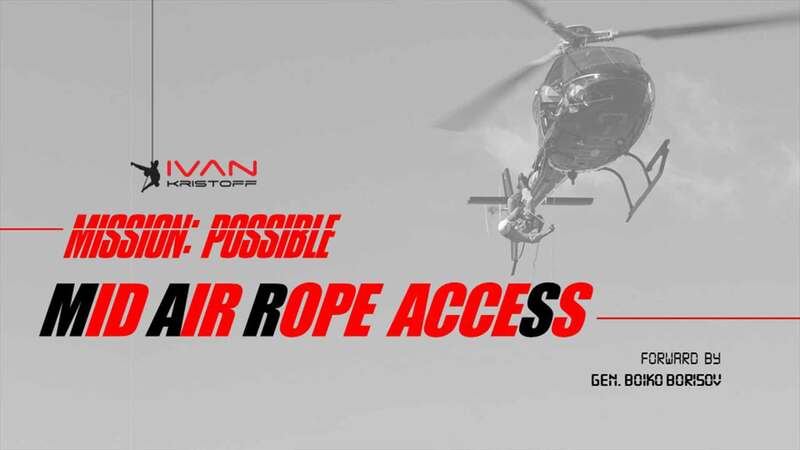 During this event Ivan will present, for the very first time in the world, the concept of the Ultimate Aerial Rescue. A new concept that can open a new chapter in the aviation, helicopter safety and aerial rescue history will be announced. 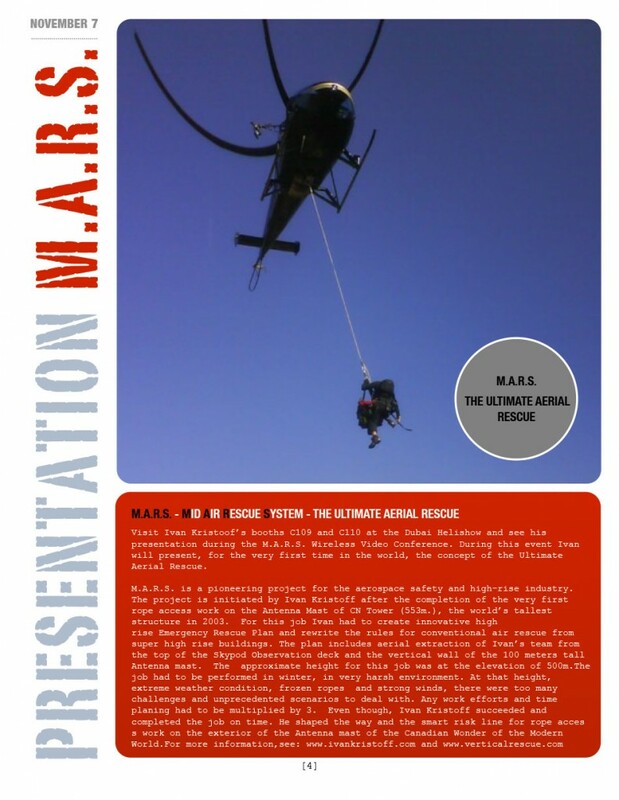 Mid Air Rope access responSe – M.A.R.S. – (conducting high altitude aerial rescue). 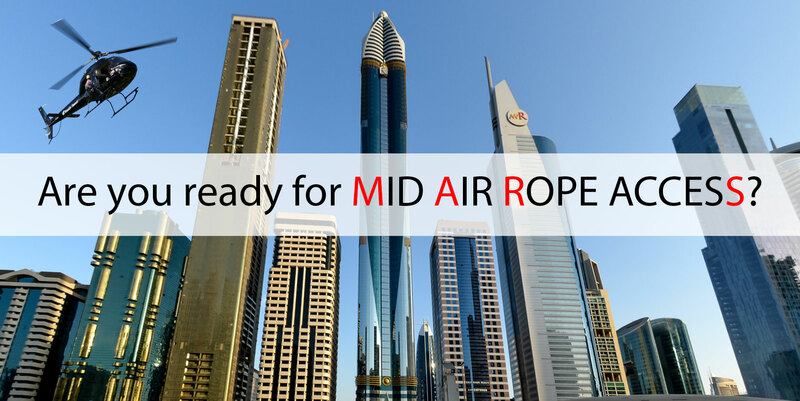 One of its segments, Mid Air Rope access, can be applied in the super high-rise industry and prepare emergency services for creating High-rise Emergency Aerial Response Teams (H.E.A.R.T.) The Dubai Helishow 2018 will once again attract many of the world’s top experts who have the same goal – to share their experience and vision on what will make helicopter operations safer and more efficient. 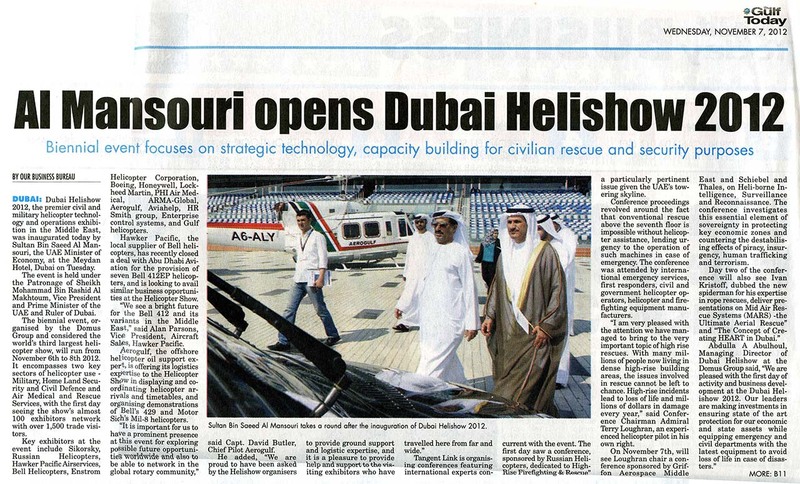 “Dubai Helishow has the tradition to present innovative ideas to the constantly increasing high rise building development in the Middle East and the world’s helicopter industry. In its history the will to make helicopter aviation safer is embedded. 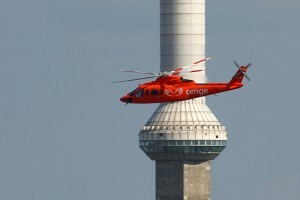 Now it will write a new page in the development of air rescue operations on super high-rise buildings, such as the Burj Khalifa...”, says Kristoff, known as the Canadian Spiderman. The project has been initiated by Ivan after the completion of the very first rope access work on the Antenna Mast of CN Tower (553m. ), the world’s tallest structure in 2003 and Canadian Wonder of the Modern World. For this job he had to create an innovative super high rise Emergency Rescue Plan and rewrite the rules for conventional aerial rescue from super high rise buildings. 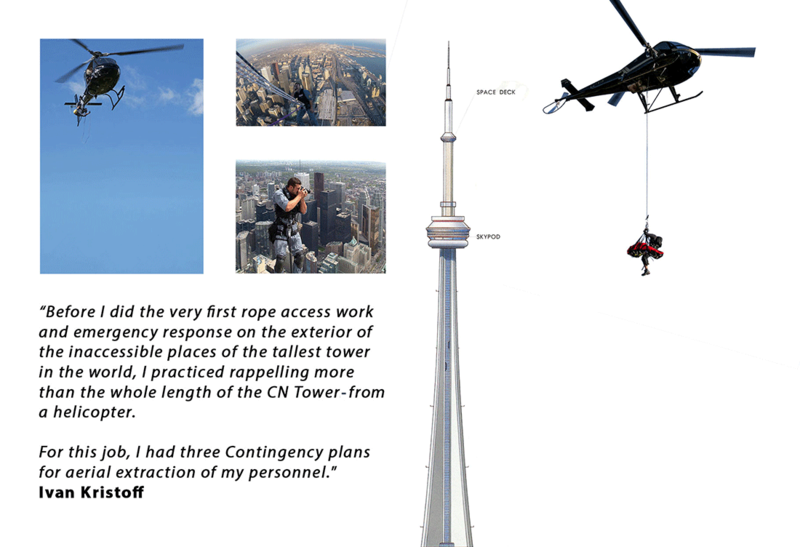 The plan includes aerial extraction of the rope access team from the top of the Skypod Observation deck and the exterior top of the CN Tower. At that height, extreme weather conditions, frozen ropes and strong winds, present too many challenges and unprecedented scenarios to deal with. And where there are strong winds, there are too many “unknowns”, especially for vertical and aerial operations. For helicopter pilots hovering at the height of above a few hundred meters off the ground is a challenge. At the Dubai Helishow 2014, Ivan Kristoff will present how to train aerial emergency rope access personnel for such operations and how to use the most modern GPS and mobile communication technology to monitor them in real time. Mid Air Recovery System – A.I.R. Mid Air Rope accesS – Mid Air Rope Access – M.A.R.S. For the presentation “Vertical Reference Long-Line External Cargo Ground Training course”, Ivan Kristoff will provide a course segment on Class D Human External Cargo Vertical rescue. 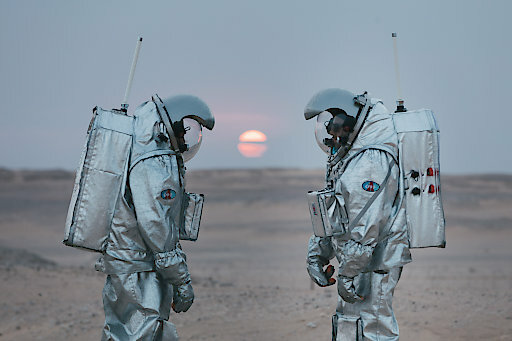 He will bring us current with the Human External Cargo rules and regulations as well as equipment and mission. For the presentation “M.A.R.S.”, Ivan Kristoff will explain what is extreme rope access on super high-rise buildings, above 200 meters, what is the difference between conventional and industrial rope access, how the technicians must be prepared for extreme and harsh working conditions. It will cover the experience of the very first suspended access at heights above 500 meters and possible worst case scenarios, their prevention and the fundamentals of specialized equipment. 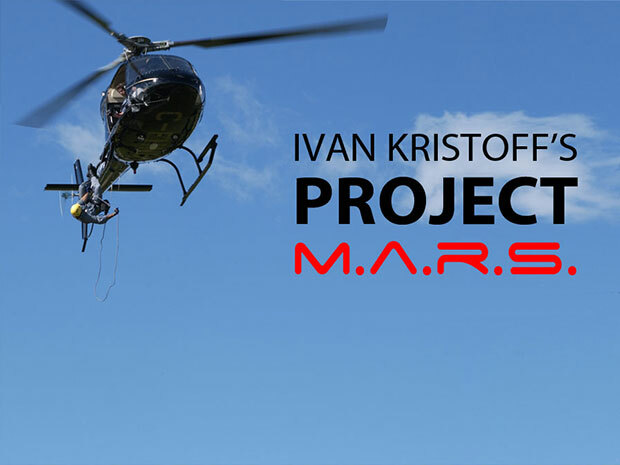 Ivan Kristoff is an aviator, rescuer and rope access expert in vertical and helicopter operations. He has organized and participated in Sea-Air-Land rope rescue demonstration. Considered as one of the most experienced and talented experts in vertical/aerial rope access operations, and a man willing to share his knowledge with others, Ivan Kristoff continues to exert a strong influence on the direction in which the volunteer organizations can participate in Air Rescue. His focus is on exploring new frontiers for helicopter and air-to-air rescue operations. That’s why, at the Dubai Helishow 2018, he can present the Mid Air Rope access System ( M.A.R.S. ) project. “Thank you for joining this forum. Fourteen years ago I was chosen to be the first person to work on the top of the world’s tallest tower. My temporary office at the elevation of +/- 450 meters was considered to be the World’s Most Dangerous Job Site, where I was hanging on ropes at the wind speed of over 60 km/h, in the freezing winter, surrounded by Hi RF microwave transceivers that would boil my brain and blood in seconds, if I made a small mistake. I had to go where no one dared to go and finish the task safely. Should I fail in any small aspect of this challenge the reputation of the Canada’s Most Iconic Landmark would be compromised and perhaps my life. With total success, I crossed the boundaries of rope access above 500 meters above the ground. My avant garde methods fundamentally changed the concept of working on ropes at extreme heights Innovation and breaking the boundaries was my advantage. Should I have to comply to the By-Laws or use the safety standards, I should fail on that mission. Next year when I returned back to the very top, at 555 meters off the ground and I looked up I realized that that will be the new challenge in vertical and aerial rope access. When I looked down and saw how small look the high skyscrapers and how tiny are the different points that a helicopter pilot usually would use to precisely position himself for steady hovering I realized what I challenge that would be for an air rescue crew. My plan for extracting my crew by air if anything went wrong during my job had to be revised. This kind of thinking showed me the new direction of my endeavors. And I believe that these kind of “revisions” can bring to life a new kind of market. This is when the revolutionary concept M.A.R.S. – Mid Air Rope Access was born. An such concept and development of its various stages can fundamentally change the rope access and rescue operations. It will increase the boundaries of vertical and aerial rope rescue and tactical operations. That kind of pioneering spirit lives on the years that the concept was discussed with engineers, military and civilian pilots. It can be applied in vertical lift platforms, help save lives and defend freedom. And we continue the development of the concept right now. But we can challenge ourselves and push much harder. The challenges of building higher and higher high rise structures are constantly evolving. So does and the procedures for reaching the unreachable and hard to reach places on the exterior of super and mega high rise buildings. To handle a possible Mid Air Rope access no supper tall high rises via helicopter, the emergency teams must be have grater flexibility to expend mission sets. We must be proactive in anticipating the constantly evolving challenges that come with this sector. We must bring different perspective and ask ourselves what problems we are trying to solve. We must be thinking about revolutionary platforms and capabilities, and we must bring this solutions to the market much quicker. That is why I created The Innovation Team – to explore ideas ahead of its time and advance the state of the art. To focus on emerging technologies and find the next era of vertical and aerial rescue. And to demonstrate our discoveries of the world. Am I going to show you the most innovative things that I am working on? No, but I do want to show you a glimpse of my vision for the future of rescue. Ladies and Gentlemen – THE MID AIR RESCUE SYSTEM – this will be the pеак of Innovation in Aviation Series, This is not tested yet, but this is a road map for the future. What you will see soon in our presentation is creativity and design. We distance ourselves from the current studies. Pushing the envelope of flying military and civilian aircraft is our goal. It will redefine the history of air rescue. We accomplish this by introducing a group of artists and pilots to my project. I challenged the artists and pilots to think beyond what I can rappel or traverse with the typical rope access techniques for transferring from one structure to another. I also had to educate the artist and pilots about the mechanics of my movements and what could resolve in the anticipated positions of Vertical Velocity that I might be exposed. As with the experience of the Bell Innovation Team who work on the FCX concept, we expect to cultivate a dynamic relationship, as each group serve as a creative catalyst for the other. And over time I expect to merge into a highly collaborative team of problem solvers. 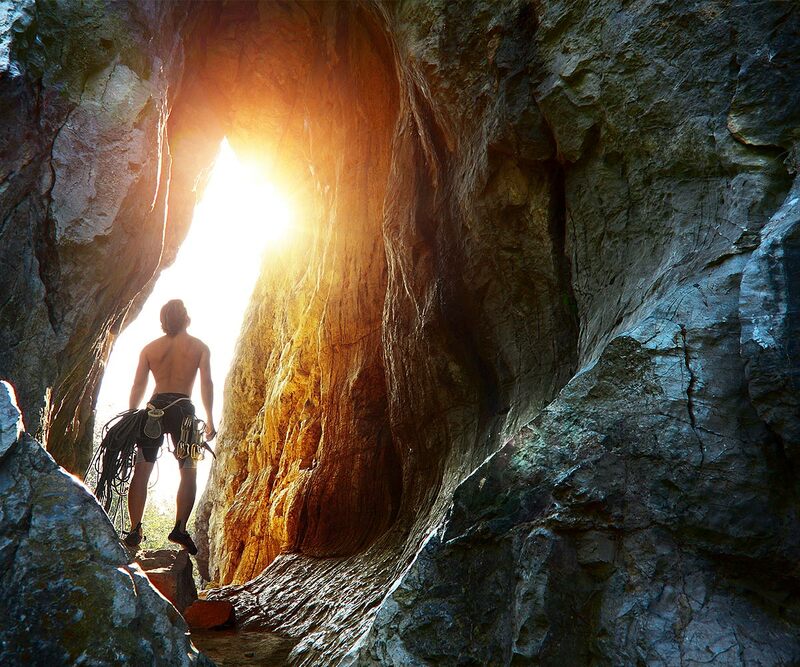 MARS embodies what we envision to bring to the world – advanced rope rescue. Safety that rivals and exceeds commercial air travel. With the rescuer of the future. controlling his descent on the rope with the with augmented reality and artificial intelligence that brings vital data in front of his eyes, to catch up on news, holding a video conference calls or simply watching on his visor’s screen a different point of view. A focus on innovative solutions and technologies. Being a pioneer in your industry is in my DNA and I want to share this passion with the world. I invite all of you to contact Fortis and share knowledge and ideas about the future of air rescue. This is a pioneering project for the aerial and high-rise industry. The project is initiated by Ivan Kristoff after his completion of the first exterior rope access work on the Antenna Mast of CN Tower (553m. ), the world’s tallest structure in 2003. For this job Ivan had to create innovative high rise Emergency Rescue Plan and rewrite the rules for conventional air rescue from super high rise buildings. The plan includes aerial extraction of Ivan’s team from the top of the Skypod Observation deck and the vertical wall of the 100 meters tall Antenna mast. The approximate height for this job was at the elevation of 500m. The job had to be performed in winter, in very harsh environment. At that height, extreme weather condition, frozen ropes and strong winds, there were too many challenges and unprecedented scenarios to deal with. Any work efforts and time planning had to be multiplied by 3. Even though, Ivan Kristoff succeeded and completed the job on time. He shaped the way and the smart risk line for rope access work on the exterior of the Antenna mast of the Canadian Wonder of the Modern World. That is how the concept of a scientific approach to developing a battle proven training program for Mid Air Rope access System started. In his preparation for such a project Ivan had to rappel over 500 meters, while dangling form a tween engine helicopter. That is how M.A.R.S. 555 was born. The M.A.R.S. concept was presented to several air rescue and military organizations, including NASA. At the Dubai Helishow 2010, Ivan Kristoff announced a new concept for the super high-rise industry. The response was overwhelming, announced in the media and we will keep you updated on the new developments. Ivan Kristoff always wanted to work on innovative projects. After moving from the Europe, Kristoff lived in Toronto for over two decades, and after concurring the Top of the Urban World in 2003, he wanted to go higher. His latest projects will do exactly that. That is the easy part – he has a plan to Achieve New Heights in Search and Rescue Training. But the challenge remains to change the way of doing business for the leading companies that may get involved with some of his ideas, like to upload all flight recording data in the Cloud, in real time, during flights. Since applying to the company the traditional way wouldn’t be working, he needed to try something new. So, he created the website AerialRescue.com that will serve as a presentation of his ideas. Through the website’s dozen pages, he conveys what he knows of the helicopter and air rescue industry, what he can bring to Air and Helishows, and he proposes new possible avenues for the aviation and safety equipment companies, which could further develop their business. Ivan Kristoff plans to start a new marketing strategy, which involves a film production of short ads for rope access work and industrial rescue. With his colleagues – filmmakers he will work in close partnership. In addition, he will showcase some innovative training sessions for rope access technicians, who are interested to work on super high rise buildings. Ivan has made considerable investment in aerial cinematography, HDR photography, mobile computing and publishing equipment for this project. His next technical demonstration and video shooting stats this summer. This year Ivan will film a series of short films for aerial remote access and suspended access operations at extreme heights. The main idea is to do rope access and to showcase the development of working on the project M.A.R.S. (Mid Air Rope access System) and initiate one of the first phases of the project, called Mid Air Rope accesS – M.A.R.S. 1. to do some photo sessions of aerial acrobatics and jump off with а paraglider and do new stunts in the air. 2. In the air, Ivan will capture in a 360 degree the panoramic scenery and send a proposal to some interesting musicians to do musical videos. With famous fashion models and a Rap singer Kristo, he did something like that with aerial shots from a helicopter. 3. Test different new ways in cinematography, which can be applied in future aerial events. 4. Ivan hopes, up there, to do a lot of beautiful photographic images and do epic images on sunset or sunrise if possible. 5. A few of the ideas that Ivan will realize are for his scientific projects along any aerial operations or acrobatics that can be found at the Dubai Helishow. 6. Currently Kristoff is teaming up with a TV crew to do 16 short (5 min.) 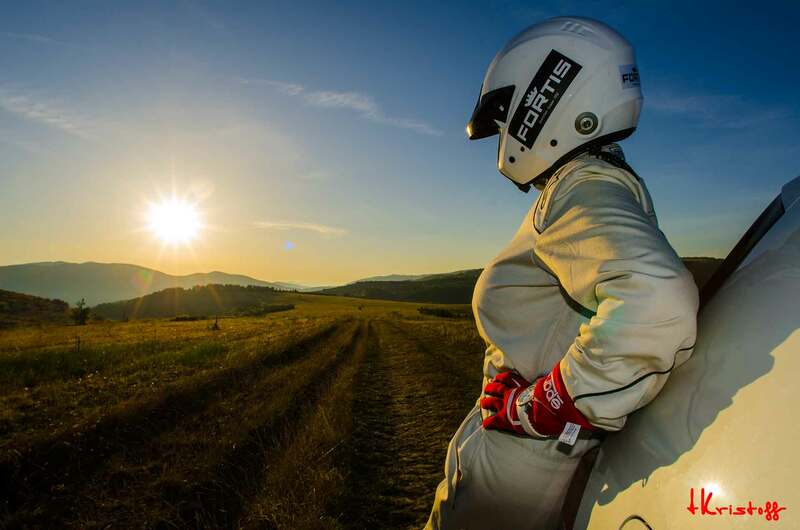 episodes for extreme sports, which will be shown from September, 2016 – June, 2015 on the BNT 2 TV station in Europe. They will be part of a one hour TV production, shown every Sunday. The first segment of the “EXTREME with Ivan Kristoff” series of short films will be an introduction to the world of extreme sports and endeavors. The rest of the episodes will be divided in 3 sections (each with 15 episodes): SEA, AIR and LAND. This article is not yet fully translated from its original “Spider Man has a unique project “M.A.R.S.” Mid Air Rope reScue” from the TRUD Newspaper. 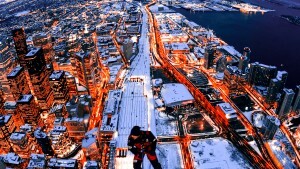 Ivan Kristoff, who is popular as Spider Man developed the project “MARS” for Mid Air Rope Rescue on super high rise buildings over 400-600 meters. He is actively preparing to showcase his study during the prestigious Dubai Helishow exhibition in 2018 and present a unique concept, which he thinks can open a new chapter in aviation history and air rescue. Our country man has found that builders of mega cities are becoming bolder and therefore his decision for creating a High Emergency Aerial Response team to deal with crisis on the vertical walls of skyscrapers is to implement advanced rescue techniques. “I already have a wealth of experience in this business. It turned out that I’m the only one in the world volunteer aerial rope rescuer who has initiated such series of training with private and government helicopters and self-invested in these expensive hobbies. The first flight cost me over $ 6,000 in less than an hour hanging below the helicopter. At this time it was extremely difficult to get permits for experimental flights over the city and especially with the private aviation. I had no car and for a long time I saved money to buy one, but my savings melted in the air for minutes. My love for the aviation, however, was so strong that even interrupted his studies at Ryerson University in Toronto to pay for my flight hours,” recalls his first experience in the high air Ivan Kristoff. The Bulgarian adventurer shared that the international news agency were impressed by his project “MARS”/Mid Air Rope Access /, a very small part of which was who presented to a special audience and the Prince of Dubai, Sheikh Mansour bin Al Maktoum, during Dubai Helishow 2014. “He specifically came to my exhibition with his suite and sew my photos, which showcased our joint flight training with Air Wings Gendarmerie Commander of flight Cornell Panaiot Kondev, the Airbase Krumovo Commander and General Zlatko Zlatev. There were some photos of our experimental flights with pilots from the Civil Aviation with whom we used the simplified double-style bond of air operations from a helicopter with a single engine, “explains Ivan Kristoff. Our native Spiderman invented and imposed the term T.E.A.M. /Two Emergency Airmen / or lightweight system from the only two people – a pilot and lifeguard. “We did the first operation with central rope hanging attachment from a helicopter ENSTROM 480B. With another pilot he conducted the first ever such specialized cascade by jumping over the water from the air without a parachute from a helicopter Robinson 22. From the manufacturer company of the first helicopter, as well as the Specialized Unit for Combating Terrorism from the Ministry of the Interior, requested the video immediately. This type of operation has triggered a debate in Bulgaria and abroad, “says laughing Ivan Kristoff. His projects impressed several film teams with extensive experience in capturing innovative projects and displaying them on the world stage. At first they were intrigued by the fact how a volunteer self-finances and makes air operations that even “The Power That Be” and powerful organizations with budgets over a billion dollars a year could not afford. “Such is the case with the tripartite Rescue System 911 Police, Fire and Ambulance in Toronto, Canada, which despite their huge budget and more than 15,000 high-rise buildings, they have no own resources for emergency rescue by air. Even ten years ago the budget of the Toronto Metropolitan Police was over 610 million dollars a year. And the budget of the Toronto Fire Department is much greater. An example is that for each received signal from the fire alarm that detects even a smoke from high rise apartment, by law, three fire trucks must arive within 3 minutes form each point in the city. Besides training, I participated several times by helicopter and demonstrations for charity. Thanks to them, with the mayor of Toronto, Mel Lastman, we collected nearly $500,000 for several hospitals and initiatives, “says the daredevil. Аз съм официален партньор на организаторите на Dubai Helishow и като такъв, разполагам със собствена изложбена площ, която ще използвам допълнително да популяризирам това начинание. “Идеята ми е да се създаде филм за реализирането на един нов вид авангардно въздушно височинно спасяване – Mid Air Rescue System (M.A.R.S. ), който ще има няколко етапа на развитие, като първият ще бъде Mid Air Rope accesS – M.A.R.S. Представянето на концепцията ще се направи по време на едно от най-големите хеликоптерни изложения в света – Дубай Хелишоу 2016. To e под егидата на Шейх Мохамед бин Мактум, Владетел на Дубай и Премиер министър на АОЕ. На тази презентация очакваме на живо да направим включване с пилоти за коментиране на концепцията на базата на опита и научно изследователската дейност в тази сфера, както и оценката на риска. Taзи година е 11 годишнина на изложението в Дубай, затова и очакваме то да бъде по-успешно и мащабно от всякога.То ще се проведе в най-дългия в света хотел, Meydan Hotel and Grandstand, където е и един от най-дългите LCD екрани. На него можем да прожектираме видео материал на тази тема, вечерта, когато коктейла-афтер парти и представим на публиката по нов начин заснет материал на горепосочените теми. Предишните представяния на съвместната ми дейност с екипа на Българските ВВС са били посещавани от Принцовете на Дубай, Министъра на Икономиката на ОАЕ и представителите на специализираните авио служби на страната домакин. Накратко, ще имаме повече от добро представяне за световните медии, които отразяват изложението. За този проект ще се преработи уеб страницата www.aerialrescue.com, като нова и фокусирана за авангардния вид спасяване. Ще имам и технологическата подкрепа на водещи ИТ компании”, казва Иван Кристоф. In 2003, Ivan Kristoff set the benchmark of extreme rope access and started to work on the M.A.R.S. concept. Sky is the limit. Your sky. Your limit. Challenge your limits! Ivan Kristoff is the first person in the world, who crossed the benchmark of working on ropes above 500 meters and solved the problems on the top of the world's tallest building in 2003. Now he has a new mission - to introduce new concept that reaches new heights above the operations on the tallest buildings in the domain of open skies. He has found the solution to problems that has not be resolved and is teaming up with the Top of Mind key people to describe the scientific approach to creating a methodology for midair rescue from various types of aircraft. He has reached out to government and private organizations from the aviator, filming, marketing and academic industry in order to document on film the first phase of the project - R&D. Pushing the envelope for the future of rescue. Imagine if lives can be saved in midair. It sounds like science fiction, but it is not! An international team of the top world renowned experts in extreme rope access and aerial operations are joining forces to showcase the solution of one of the challenges in aviation. From astronauts, civilian and military pilots, engineers, doctors, rescue and tactical operation‘s personnel, filmmakers, to media and marketing experts, they all have one goal - to open a new chapter in the aviation and initiate the concept of Mid Air Rope Rescue. We will elevate the Mid Air Rescuer Awarness M.A.R.S. by showcasing new aproach to aerial rescue. 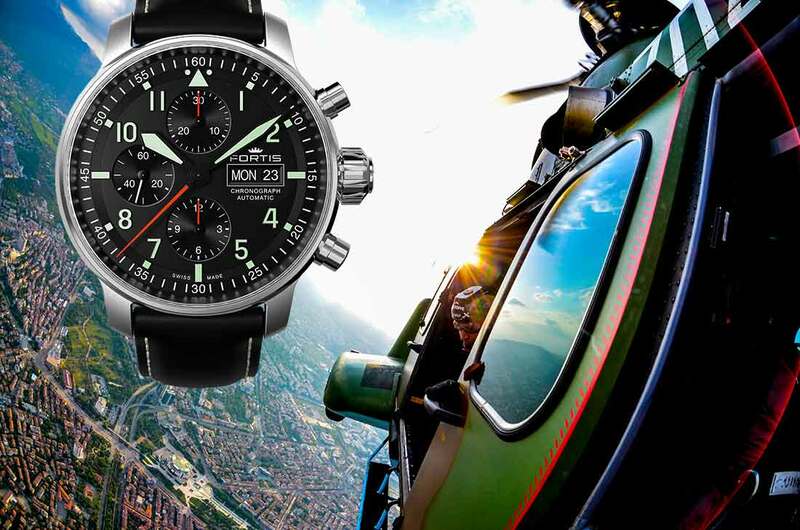 With our strategic partners Fortis Swiss Watches company, we will present the concept M.A.R.S. to the world with a simple goal, to connect pilots and businesses to join forces to develop the new concept of rope rescue. Our mission is to never stop exploring the opportunity to create a new kind of air rescue that will open a new horizons for the aviation. This year we plan to achieve the impossible. Pingback:Innovative Projects | Why Ivan Kristoff?